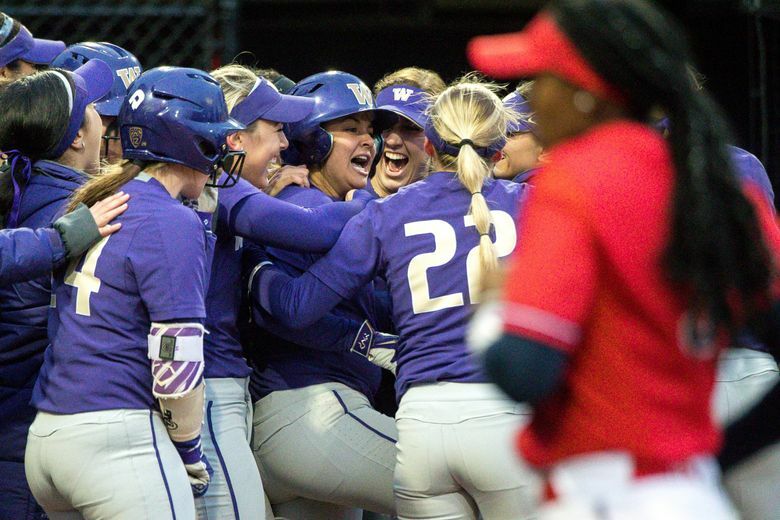 The Huskies won it with a towering home run from Julia DePonte to lead off the eighth, giving the Huskies a dramatic 2-1 home victory Friday night over No. 9 Arizona. Comebacks don’t taste much sweeter than this. 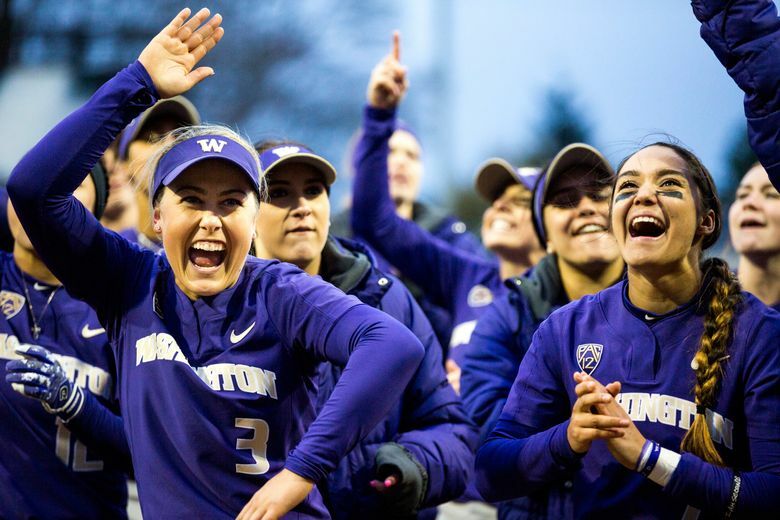 Trailing by a run after losing a no-hit bid to a solo home run with one out in the sixth inning, the top-ranked Washington softball team forced extra innings with a two-out, run-scoring single by Sis Bates in the bottom of the seventh. The Huskies then won it with a towering home run from Julia DePonte to lead off the eighth, giving the Huskies a dramatic 2-1 home victory Friday night over No. 9 Arizona. In front of 658 spectators at Husky Softball Stadium in football-like conditions (overcast, chilly, breezy), the clutch hits by Bates and DePonte salvaged a sterling night in the circle by junior Taran Alvelo. 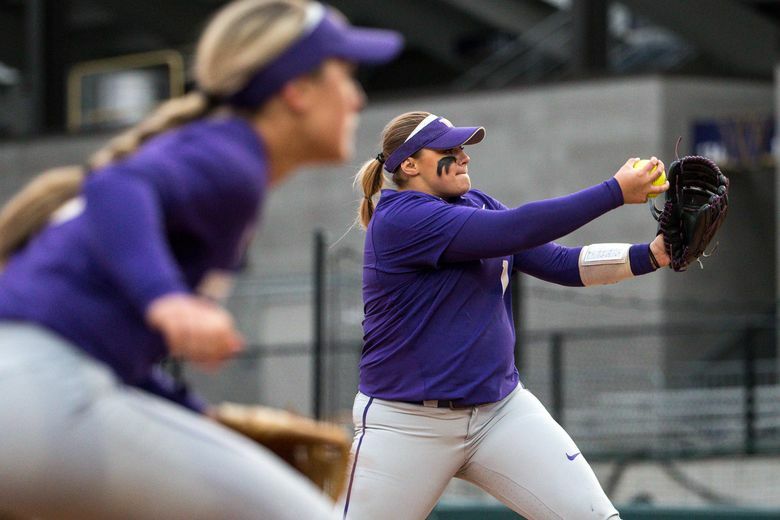 Alvelo gave up just two hits in eight innings and struck out 14, a career high and the most strikeouts by a UW pitcher since Bryana Walker fanned 14 in 2014. Arizona (24-4, 3-1) entered the game with the nation’s eighth-best team batting average (.347), yet Alvelo held the Wildcats hitless until leadoff hitter Alyssa Palomino sliced a 2-2 pitch to left that cleared the wall by a few feet. Alvelo (14-1), who had recorded her ninth strikeout one batter earlier, elected to not let the homer affect her, fanning five of the last 11 hitters she faced. Washington loaded the bases in the third and had two on with one out in the fourth, but did not score. With runners on first and second in the seventh, Bates hit the first pitch she saw from Taylor McQuillin (16-2) to left for a run-scoring single. DePonte teed off on an 0-1 changeup for her game-winner. • With two out in the eighth, Alvelo hit Arizona’s Reyna Carranco with a pitch that became wedged between the face mask and brim of her helmet. She was escorted off the field while holding a towel to her face. A team representative said she was taken to a clinic after the game but had no report on her condition. • The teams play against Saturday at 3:30 p.m. and Sunday at 1 p.m.